Many consider the Superman Homepage to be the number one Superman fan site in the world, and we’re proud of that title, but we’re not resting on our laurels. We want to continually improve this site and ensure that it’s meeting your expectations. The last survey was conducted back in 2012, so I thought it was important to do another Superman Homepage Survey to see where things stand. So, in an effort to stay in touch with what it is you want, we set up the indepth “Superman Homepage 2018 Survey” to gauge what you like and dislike about this website, how you think we’re doing, and where you think we can improve. Below are the results, which include a commentary from me in response to many of the comments and suggestions sent in via the Survey. 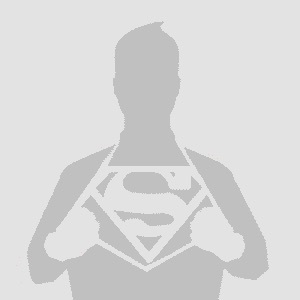 How would you rate the Superman Homepage website overall? In 2012 66% of you thought the website was Excellent. That’s down a little bit, but not by much. Most of you still think the website is Excellent, which is great to see. How would you rate the Superman Homepage website’s design and layout? As a Web Designer by profession, I’m always very conscious about the look and feel of the website. As in 2012, the majority of you think the website looks good. The website is now built on WordPress (and has been for a few years now), so the layout is more flexible and interchangeable, which means I can mix things up a bit if needed. How would you rate the Superman Homepage website content and information? Similar ratings to what we received back in 2012, with the majority giving an “Excellent” vote. Although I’m a little disappointed some people gave a “Bad” vote in this category. I wonder what they were hoping for? Which section of the Superman Homepage website is your favorite? The “Front Page/News” page is once again the favorite section, dropping 4% on its 2012 numbers, with the “Movies” section gaining those extra votes. Which interactive feature of the Superman Homepage is your favorite? Interestingly the Member Polls was once again the most popular interactive feature, jumping 6% in popularity. Which of the following features of the Superman Homepage is your favorite? Nice to see that the hard work that goes into a lot of these features is being almost evenly enjoyed across the board, although it’d be nice to see a few more people checking out the live show each week. What is the worst thing about the Superman Homepage website? Would you like to see more Spoilers on the Superman Homepage website? A very even split across the board on this one. We’ll play it safe and continue to provide as many Spoilers as we can find, while protecting those who want to remain Spoiler free with plenty of warnings. Which one of the following ideas would you most like to see more of on the Superman Homepage website? More interviews it is. We’ll make more of an effort moving forward to bring you exclusive interviews where possible. How often do you visit the Superman Homepage website? Good to see that the majority of you visit the site once a day, if not more. Do you find the Superman Homepage easy to navigate around? Same numbers as in 2012, almost all of you have no trouble getting around the website… Which is really great to know! While still a fantastic result, the “Strongly agree” numbers are down 10% on our 2012 survey. Those who disagree with this statement, I’d be interested to hear which website you think is a better Superman fan site and why. Which of the following statements best fits your feelings about the Superman Homepage? Over 90% of you think the site’s quality has either remained the same or improved over the past couple of years. Glad we’re still meeting your expectations. Is the Superman Homepage a friendly environment to visit? It’s good to see the site continues to be a friendly place to visit. We received mostly positive comments and praise in the feedback section of the Superman Homepage 2018 Survey. It’s great to know that the majority of visitors are happy with the way we’re running the website. Obviously you can’t please all the people all the time, and no website is ever going to be considered perfect. I created the 2018 Survey to get both positive and negative feedback, to gauge our performance, gain insight into what was and what wasn’t working, and hopefully improve the site even further. Thank you to everyone who participated. As you’ll see below, I’ve responded to many of the anonymous comments submitted in the 2018 Survey, answering questions and taking suggestions. There were a few comments with similar messages, so if you don’t see a comment you submitted, there’s likely one that had similar sentiments to which I’ve replied. Comment: Many time after it loads the page goes straight to the bottom of the page repeatedly. Response: That’s odd. Check that you’re going direct to “www.SupermanHomepage.com” and that there are no other characters after the “.com”. Comment: I’ve been visiting this site for as long as I can remember. It’s accuracy, dedication and resourcefulness regarding Superman is quite uncanny and second to none. This is why you are the world’s number 1 website when it comes to our favourite, one and only greatest superhero ever conceived to audiences of pop culture. Just do what you do best: keeping up the good work. Response: Thank you! I really appreciate the kind praise. Comment: The voting opinion for comments I feel should be taken away. Negative voting can hurt the feelings of other members. It would help make the website even more friendly if this voting option was taken away. Response: I’ve been contemplating removing the Thumbs Up/Thumbs Down feature in the Comments for some time now. I’ll definitely take it under condsideration. Comment: I prefer the layout before the current version. i miss things I would have seen previously. Response: I believe this comment was made before I reverted the layout to the current version. Hopefully things are better for you now. Comment: Superman Homepage IOS App should more software updates. Response: I agree 100%. However, the app was built for free for us by Gooii, who (as Superman fans) did it out of the goodness of their heart. They are a business however, and updating the app isn’t a priority for them at the moment. There are updates planned, and hopefully they’ll happen sooner rather than later. But we just don’t have the funds to be able to pay thousands of dollars towards this. Comment: I would like to come to this site first for news but as of recently other sites are getting the news much sooner which is a shame. Apart from that, I would like to say keep up the good work, I very much like how the news is presented, oh and some weekly interviews with Steve Younis on his opinions when news is released good or bad, a bit like the Scotty V segments but more personal to the website in general (ie if comments are over negative etc, movie, tv, comic book opinions, those sort of things) Thanks. Response: The timing factor can sometimes be an issue, mainly because of the fact that I live in Australia and the international time difference can mean that news might drop at Monday 10.00am EST in the USA, which would be Tuesday 2.00am for me here in Sydney. I’ve tried to get some help from staff members in this area, but they are all volunteers with their own jobs and families, so it’s not always a priority for them. We do our best, but we can’t always be as prompt as sites like IGN, Newsarama, and the like, who are all professional, fully-funded, full-time news sites. Response: Have you set your web browser to accept cookies? This is likely the reason you’re having this problem. Your browser needs to accept cookies to be able to remember you each time you visit the site. Try a different web browser as a test. Comment: I think it is a great website, would like to know how Australian’s can watch Supergirl etc if don’t have pay tv. Response: We do have pay TV. Foxtel here in Australia is the PayTV service that shows “Supergirl”. Once again, I’d like to thank everyone who participated in the Superman Homepage 2018 Survey. We’ve received some great feedback, and will attempt to use this feedback to further improve the website. Somehow I missed this survey! Me too. I enter the page daily and never saw it.